It's been said that Led Zeppelin is the most influential rock band of all-time. If that isn't the truth, it's at least pretty close. If we look at the post-Led Zeppelin world of rock and roll, we can see thousands of bands following paradigms established (or at least popularized) by Zeppelin. Not only did Zep accelerate the arena rock trend, the band also advanced progressive rock music, inspired heavy metal and planted (no pun intended) the seeds for one of pop music's most lucrative changing of the guards: glam rock. A lot changed in music between the time Zeppelin disbanded in 1980 and when Robert Plant decided it was time for a dramatic change in the direction of his solo career circa 2000. The singer says he was watching Radiohead at a benefit show when he realized the conventions he helped establish in Zeppelin had become cliches. "We got to Paris and we played the 50th anniversary of the Declaration of Human Rights," Plant told House of Strombo with George Stroumboulopoulos in a new interview. "It was an insignificant bill. It was the beginnings of Radiohead, Bruce Springsteen acoustic, Peter Gabriel acoustic and the Dali Lama...I saw the guitarist in Radiohead [and] when it was time for a solo, he just knelt down and started messing with his pedals. Got some squelch s**t going on and all that sort of stuff. I went, 'Well, that's a lot different to the world I've been in, of expressive gesture and stuff.' I realized it was time to change. Then I started writing." In that moment Plant realized the stagecraft of Led Zeppelin had become a cliche; Radiohead - one of the biggest bands in the world - was actively shunning the idea of a solo! The period that followed involved Plant "saying goodbye to all that big-time s**t," and as much as Zeppelin fans hate to admit it, the change in direction was validated. 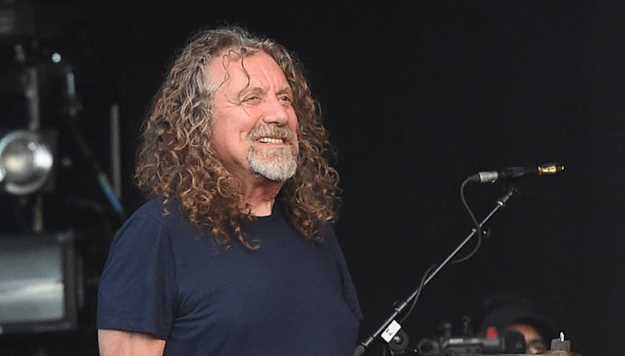 Plant recorded a series of award-winning genre-bending, very un-Led Zeppelin albums, which brings him to his latest release, 2017's Carry Fire. The singer says he is well-aware of the "wonderous margin of obscurity" to which he's taken his music, but he says it's been creatively fulfilling and he has no regrets.